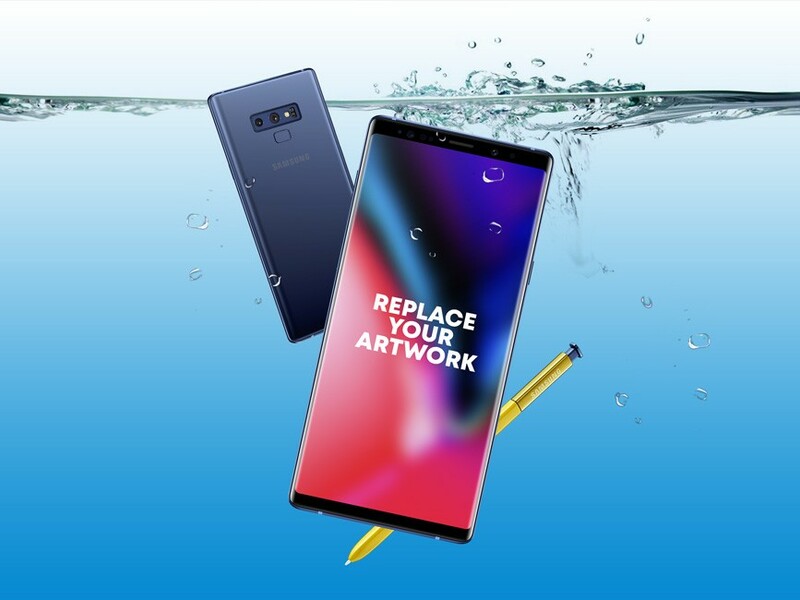 Download Free Galaxy Note 9 Underwater Mockup. This Samsung Galaxy Note 9 Mockup which might handy for your design projects as well as showcasing your web and mobile application ui design in unique way. Just Open Smart Object layer, paste your work and Save in photoshop. Nice work done by PSD.Graphics.